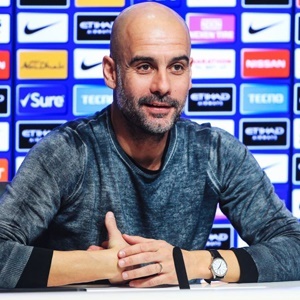 Manchester - Manchester City boss Pep Guardiola believes the pressure of needing to win every one of their remaining Premier League matches to finish ahead of Liverpool will boost their quadruple bid. "For the semi-final and for the Champions League, being in the position in the Premier League where you know if you don't win you are going to lose the Premier League, maybe that's going to help us for the other competitions," said Guardiola. "There's no complaints about our mentality, what happened last season and this season again," said Guardiola. "The players are not stupid, about the fact we're trying something so difficult to achieve.